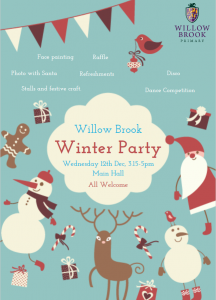 The wonderful Willow Brook PTA will be inviting the whole school community to the Winter Fair, on Wednesday 12 December from 15:30 to 17:00. 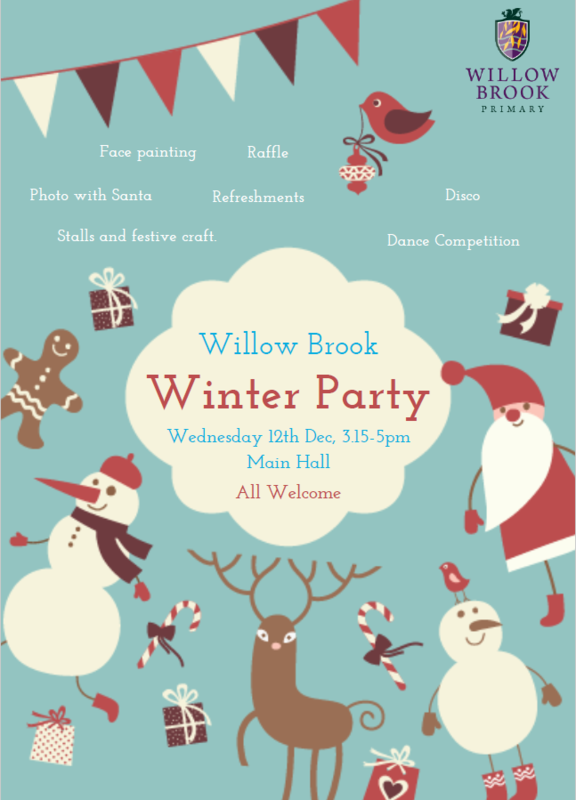 There will be stalls, a dance off, face painting, a raffle, food and drink and even a guest appearance by…you know who!!! Children are invited to not wear uniform on this day, and come dressed for the after-school party! Join us for a fun event for all.